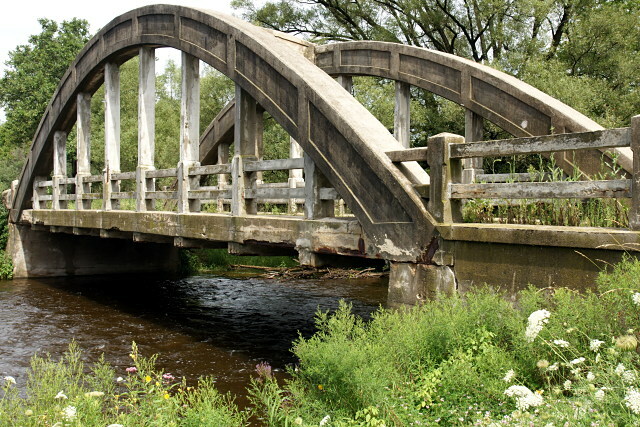 Wellington County has a number of bowstring bridges. Unfortunately, they are disappearing as they get replaced by newer bridges. Glad to see this one has been preserved, even if it looks like it is suffering from neglect. 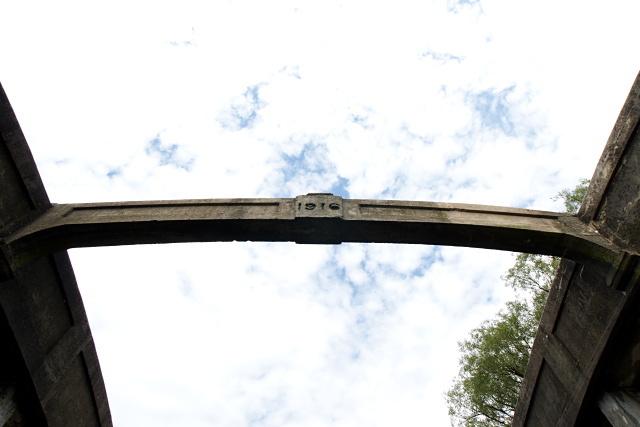 Surely without heavy vehicular traffic this bridge can reach its centenary. Thanks for the reminder of these bridges. I used to tour around Wellington County by bike in my University of Guelph days. 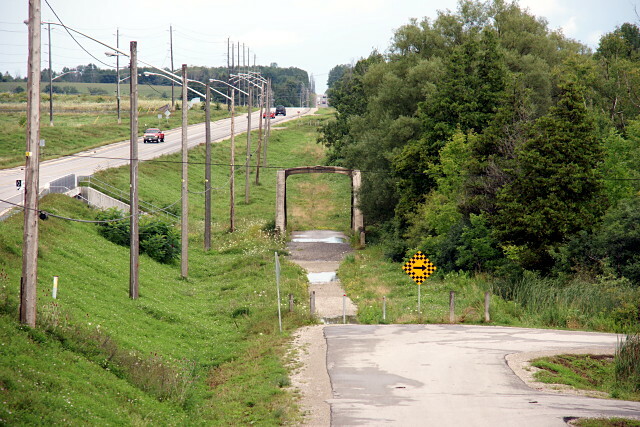 Hi, Val–Stumbled on your site totally by accident, and glad I found this post re the bowstring bridge in Guelph. You may not know there is a similar bridge near your cottage, just east of Bewdley (I figure you know where Bewdley is because your cottage is on Rice Lake and I see lots of posts re Hamilton Twp). 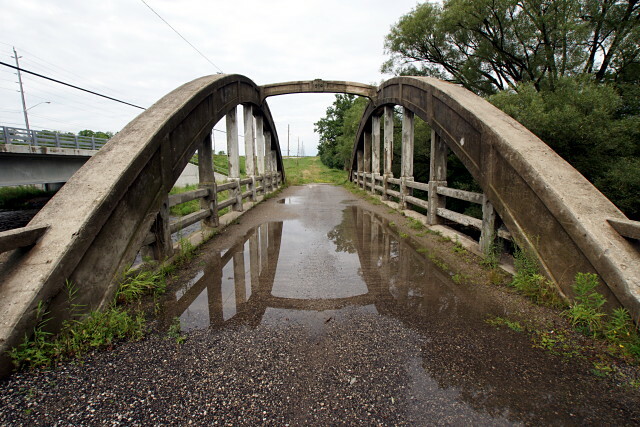 I am on the heritage committee in Hamilton Twp and we’re keen on getting the bridge designated and restored. Hope you don’t mind if I steal your pics and use them to illustrate how these bridges can be put to practical use. When the weather gets better, you should take a ride past. It’s called the Sackville Bridge, just off County Rd 9. it’s the site of an old mill pond.